dark, white or marbled chocolates. 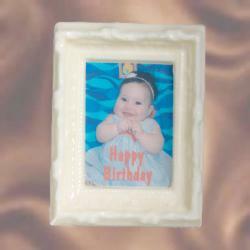 Chocolate frame measures 2.5" x 2" and 1/2" thick. in this one of a kind frame. to show off that loved one.